"The AIIS Language Programs are dedicated to serving the needs of language learners from American Universities. 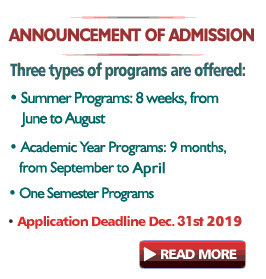 The programs, located in India, have as their goal to provide a teaching and learning environment of professionalism, excellence and integrity and that operates in a joyful and hospitable manner." Eligibility - AIIS will offer instruction in Bangla, Hindi, Malayalam, Marathi, Punjabi, Sanskrit, Tamil, Urdu, Telugu, Kannada as well as other languages if there is interest. For the summer we require at least a year for Hindi, Urdu, Bangla and Tamil, two years for Sanskrit, but we offer instruction at all levels, including the beginning. Students for other languages must have had two years of language study in order to participate. Students with disabilities are encouraged to apply; AIIS will make all reasonable efforts to accommodate them. . . 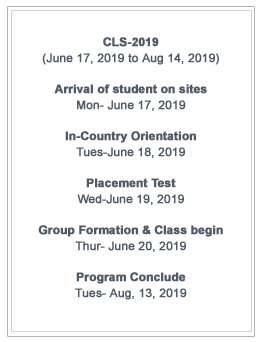 Eligibility - The Language Program in India is open to graduate, and junior or senior-level undergraduates at institutions of higher education in the U.S. who are pursuing an academic or government service career. Teachers in area studies are also eligible to apply. 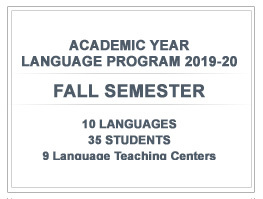 Applicants need to have a minimum of two years or 240 class hours of classroom instruction in the target language before starting the program. Applicants for other Indian languages not listed above may be considered. 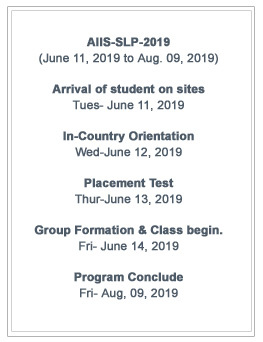 Applicants who have one year of language preparation at the time of application may ..
AIIS will offer superior level language instruction in Bangla, Hindi, Malayalam, Marathi, Punjabi, Sanskrit, Tamil, Urdu, Telugu, Kannada as well as other languages if there is interest. Eligibility - AIIS will offer instruction in Bengali, Hindi, Punjabi, Malayalam, Marathi, Sanskrit, Tamil, and Urdu as well as other languages if there is interest. Instruction in Bengali, Hindi and Urdu will be offered at all levels. Students for other languages must have had two years of language study in order to participate. Students with disabilities are encouraged to apply; AIIS will make all reasonable efforts to accommodate them.